Alexa Wins the Holidays. Implications? Samsung Spreads AI to all Phone Apps? Bots Coming for Your Job? Some great examples of data visualization in 2016. I like these, but whenever I look at viz I want to always think: Simplify. Unless the art drives towards either insight or a means for better interaction, why? Still, good examples to be considered. Nathan Yau in Flowingdata. This is the fascinating way that your brain makes space to build new and stronger connections so you can learn more. .... "
Artificial intelligence is amazing. And even more so when it is applied to a problem in the real world. Insilico Medicine is doing just that. ... "
Always interesting Michael Schrage makes some good points in the HBR. Thinking of examples of implementing this. We were always interested in improving, even optimizing process with analytics and data. We considered what he is suggesting, but better embedding it early in the design does make sense. Thoughts? But the more rigorously the use cases were modeled, the more complicated enhancing expectations and efficiencies became. Would buyers abandon purchases if they couldn’t get exactly what they wanted? Would they defect to competitors? Might product bundles or incentives meaningfully shift demand and production flows? ... "
You have probably not noticed, the Pokeman Go phenomenon is off the news, but it is still here. IEEE Spectrum reports that the broad concept is still rumbling. And companies like Niantic and Magic Leap are showing us how to truly augment reality, even without the glasses. Will I ultimately expect reality to be seamlessly, and indistinguishably inter-layered with its augmentation? Largely nontechnical overview, rather than a review of Predix as a platform. . Prompted me to take another look. I was an early tester. GE is a big part of the Industrial Internet. New in Watson Analytics. Will take a closer look. Four additional capabilities satisfy your appetite for more. You’ll be discovering insights like a champ in no time. The first of the four Watson Analytics add-on is Watson Analytics for Social Media, which guides you through social data. With automatically created graphics, you quickly take the pulse of your audience or market. And, it’s easy to compare results with other data sources. Now, you can get new insights based on different views of information. Number 2 of the Watson Analytics add-ons is Watson Analytics Expert Storybooks. If you’re struggling to understand your data analysis, Expert Storybooks can be your guide. You bring your data, and we take care of the rest. You get new insights and we interpret results for you. It’s that simple. Data preparation shouldn’t slow you down, and that’s where number 3 of the Watson Analytics add-ons comes in. Datawatch Monarch for IBM Analytics transforms data for upload into Watson Analytics. With the click of a button, it prepares messy data for analysis. Datawatch Monarch Server for IBM Analytics automates many data preparation tasks. You’re free to get on with data analysis so your precious time isn’t wasted. Wouldn’t it be great if you could easily find data when you need it? With the fourth of the Watson Analytics add-ons, IBM Bluemix Analytics Exchange, you have access to free and open data. Do you need economic, business, leisure, transportation, and more information to support a theory? This is the place for you. .... "
So what is a Watson Ad? Its more like an intelligent brand conversation. Like the idea, taking a closer look. Any experiences out there? The Weather Company and Watson have teamed up to bring you Now, for the first time ever, you can have an intelligent, two-way conversation with brands in an ad. Your favorite brands can help you prepare a new meal, shop for the perfect shoes, find your dream car...even relieve allergy symptoms. When you chat with Watson Ads on The Weather Channel App or weather.com, you never know where the conversation might go. ... "
Saw some of this effect myself, got many questions about the Amazon Alexa device, and its comparison to the also heavily advertised Google Home, which I am also now testing. Retailwire discusses. Asking if this is a win for Alexa in particular, or the general use of in-home assistants. The latter I think, Google still has the potential to win by driving better data and intelligence. But today, Amazon has the advantage. Meanwhile a criminal case has brought up the 'attentive' nature of some of these devices. Will the consumer accept this apparent erosion of privacy? Will such a case lead to more caution? Or does it really change privacy in a world where we search and freely provide information about what we do? In Fastcompany, a forward look at smart home technologies in 2017. No details here, but worth a scan to understand the players and still considerable constraints. Interesting premise, to use simulation to produce training sets, a kind of gamification. We did something similar by simulating forward alternative choices in the supply chain. Apple Inc. has made good on its promise to start publishing research papers on artificial intelligence by publishing its first paper in the field. Spotted first by Forbes, the paper, titled “Learning from Simulated and Unsupervised Images through Adversarial Training,” was submitted for review in mid-November before being ultimately published by the Cornell University Library on December 22nd. The research covers the techniques required for training computer vision algorithms to recognize computer generated versus real world images. According to the research, synthetic image data is often “not realistic enough,” leading the network to learn details only present in synthetic images and fail to generalize well on real images. The paper proposes that a solution to that problem involves “Simulated+Unsupervised learning,” a process that relies on a new machine learning technique, called Generative Adversarial Networks, that is said to increase the realism of a simulated image by pitting two neural network, generator and discriminator, against each other to discern generated data from real data. .... "
Brought to my attention. Still trying to understand good example practical applications for virtual reality. The examples include the Schipol Flight Control example previously mentioned here. Welcome to the web's premier destination for HoloLens app reviews! New HoloLens apps are appearing daily in the Microsoft App Store. Our mission is to review every one of them. Please send us a link if you'd like your app reviewed! Learn about the 12 HoloLens apps you should download first. ... "
Its more about how data engineering than it is about data science. Science primarily involves discovering first principles, while engineering involves the use of those principles to consistently deliver useful value. Both are very useful, but you ultimately need more engineers than scientists. Not to say people cannot be both. And its further about the analytics applied to the data to get that value. Via O'Reilly: A look at supporting and related Linkedin data. Navigation via Waze, but only in tunnels with Waze beacon support. " .... Waze worked with Bluvision to create custom beacon hardware designed to suit moving vehicles and solve historic, tunnel-specific location challenges. This makes Waze the first navigation app to accurately route drivers, in real time, as they navigate through tunnels where Waze Beacons are installed. ... "
Good example of how, by breaking up complex sub tasks, you can perform difficult goals. We, as humans, don't have to 'solve' the problem of sight every time we want to see, and thus can get to more difficult goals. Also naturally linking to the swarm solution idea.
" .... On the West coast of Australia, Amanda Hodgson is launching drones out towards the Indian Ocean so that they can photograph the water from above. The photos are a way of locating dugongs, or sea cows, in the bay near Perth—part of an effort to prevent the extinction of these endangered marine mammals. The trouble is that Hodgson and her team don’t have the time needed to examine all those aerial photos. There are too many of them—about 45,000—and spotting the dugongs is far too difficult for the untrained eye. So she’s giving the job to a deep neural network. On the West coast of Australia, Amanda Hodgson is launching drones out towards the Indian Ocean so that they can photograph the water from above. The photos are a way of locating dugongs, or sea cows, in the bay near Perth—part of an effort to prevent the extinction of these endangered marine mammals. The trouble is that Hodgson and her team don’t have the time needed to examine all those aerial photos. There are too many of them—about 45,000—and spotting the dugongs is far too difficult for the untrained eye. So she’s giving the job to a deep neural network. .... "
" ... Samsung has been eager to drum up attention for the Galaxy S8's AI assistant, but just how is it going to work, exactly? We still don't have the clearest picture, but some details might be coming to light. A SamMobile source claims that the Viv-based, voice-guided helper (reportedly named Bixby) will have a presence in all the of the phone's included Samsung-made apps. You could use it in the Gallery app to show you photos of the beach, for example. This isn't a radical development when both Google Photos and iOS 10 can accomplish similar feats, but remember that Bixby is likely replacing S Voice, Samsung's aging in-house software -- the point is to offer software smart enough that you don't need to turn to another assistant. ... "
An online parody of Amazon Go by a French retailer Monoprix linked to and discussed in Retailwire. What is the point and where is the human engagement? This time of year always seems to a good time to think about good strategy. HBR Considers that everyone should be thinking about this. Start by changing your mindset. If you believe that strategic thinking is only for senior executives, think again. It can, and must, happen at every level of the organization; it’s one of those unwritten parts of all job descriptions. Ignore this fact and you risk getting passed over for a promotion, or having your budget cut because your department’s strategic contribution is unclear. ,,, "
How to benefit from data associated with journey. .... " What Is the Customer Journey? The customer journey is the path that a customer takes through various touch points as they interact with your brand and your products. These touch points are the individual transactions and interactions that your customer has with your business. They can include clicking on an ad, visiting your website, clicking on a specific product, purchasing that product online (including each touch point involved in the online checkout process), follow-up emails from you, etc. .... "
Makes sense, if we want to improve our reality we should not have to be on a wire tether. First wireless mixed reality (VR & AR in one) headset that requires NO phone, NO computer, priced under $300 including two controllers. ... "
Years goal is to improve email capabilities. Was just introduced to the Notion AI system. In particular because it can be linked to the Echo voice system. Also the capabilities embedded in Cortana and Siri. Like in all these systems, email is such an integral part of what we do, it is hard to change. And, can a voice interface improve our usage of email, or does it just make things get more complicated? Early indications are there is still much work to do, but the direction is right. Makes further sense to use AI to help prioritize communications and to improve responses. Workers spend a quarter of their day dealing with email, making it the second most time consuming activity in their jobs. A new app aims to streamline our inboxes. ,,, "
FYI – I have started my holiday project already! …I am working on a series of lectures for next generation cognitive curriculum, understanding cognitive systems… "
Some obvious solutions, but improved usability will also be important. Many improved sensory approaches too. These methods also align with memory applications also in line with the needs of anyone.
" .... Schrock Innovations’ Allen Band and UnaliWear’s Kanega Watch are two gadgets that assist in keeping patients safe. The Allen Band is worn on the wrist and detects falls. If wearers have an accident, they are required to press a button to signal that they are uninjured. If no signal is received, caregivers are alerted. The band also monitors heart rate, body temperature and movement. Smart socks with attached sensors that can warn diabetics when they are at risk, and smart watches that tell patients when to take their medicine2 are two other wearable devices that are available. .... "
More hotel chains thinking about the usefulness of virtual assistants. Notably includes Watson, and using conversation via a humanoid bot called Nao, and a Watson driven system called Wayblazer. Must such bots be humanoid? The model of a concierge is used.
" ... Earlier this year, Hilton started a test with a concierge robot for its chain of hotels in the US. ... The project is based on a partnership with IBM’s Watson program. The robot – named Connie, after the hotel’s founder Conrad Hilton – is available to answer questions from customers. Connie knows everything about the hotel, neighborhood restaurants, tourist attractions, and so on. ... "
See my list of assistants being investigated. Saw a similar idea which showed architectural drawings represented in front of a client on a table. This will likely advance to provide both demonstration level and even immersible realities. Games are a good start to work with the required detail for motion and interactions. Here a number of example images. A new way of telling a story. What does the third dimension provide?
" ... The dynamic world of mixed reality will revolution everything we know about gaming. It will lead to a whole new platform beyond the standard keyboard and monitor. Ushering a new era of gaming. ... "
I like the fact that the word 'Analytics' is used, its not just data science, its what we do with it. Its not all about science its about understanding process and decisions. Cecilia Ma Zecha: Hello, and welcome to this edition of the McKinsey Podcast. I’m Cecilia Ma Zecha, an editor with McKinsey Publishing, based in Singapore. Organizations have more data than ever at their disposal, but actually deriving meaningful insights from that data and converting knowledge into action is easier said than done. Today we’re talking to Nimal Manuel, a senior partner in McKinsey’s Kuala Lumpur office. We also have Bill Wiseman, a senior partner normally based in Taipei, but who joins us today in Kuala Lumpur. Thank you both for being here. .... "
Good piece with graphical descriptions and links.
" ... Simply put, the Blockchain is a shared single version of the truth of anything digital. It is a database technology, a distributed ledger that maintains and ever growing list of data records, which are decentralised and impossible to tamper with. The data records, which can be a Bitcoin transaction or a smart contract or anything else for that matter, are combined in so-called blocks. In order to add these blocks to the distributed ledger, the data needs to be validated by 51% of all the computers within the network that have access to the Blockchain. .... "
Powerful Resilience through Rituals? Your Conscious Mind Is An Overconfident Storyteller a thoughtful piece. Lately have been looking at the power of storytelling and narrative, so this made me think of confidence in our own stories. This reminds me of swarm robotics, which have a similar approach to scale. And an approach that cooperated towards a goal. Three-dimensional printing has long had a serious limitation: You can’t make an object larger than the print bed. Consequently, 3-D printers for large-scale objects have taken up a lot of space and required a lot of heavy machinery to move the nozzle around. Taking a cue from nature, technicians at Siemens may have solved the problem. Instead of building a bigger, better 3-D printer, the company has designed compact “spider robots” that work together to weave large objects seemingly from thin air. .... "
" ... Maple, a David Chang-backed restaurant in New York City, doesn’t have any tables, cash registers, or waiters. Instead, its customers order meals through its website or mobile app, and a fleet of bike couriers deliver them. By eliminating the dining room and bringing meals to you, Maple is betting that it can sell more meals per hour, using less real estate, than a traditional restaurant. The current gold standard for zipping patrons through a lunch line (what the industry calls "throughput") is Chipotle. According to its 2014 annual report, Chipotle manages to serve 300 meals per hour—a transaction every 12 seconds—at its best-performing locations, and the chain is so obsessed with its productivity that it assigns employees efficiency roles with names like "linebacker." ... "
Wanted to re-introduce people to the Cognitive Systems Institute, an IBM Almaden research sponsored group to which I belong and contribute. Includes connections to many students and practitioners and research groups. I often attend and comment on their weekly speakers. Worth joining in. The Cognitive Systems Institute Group is a collaborative effort between universities, research institutes, and IBM clients to advance the state-of-the-art in cognitive computing. The institute features resources on this website , a LinkedIn Discussion Group and a weekly Speaker Series . As research collaborators and faculty, we focus on building and evaluating cognitive assistants for every profession. The Cognitive Systems Institute centers on professional cognitive assistants that exhibit the three L’s – language, learning, and levels to augment and scale human expertise. ... "
Was just introduced to Carmine Gallo and his book: Storytellers Secret. Vinod Khosla, billionaire founder of Khosla Ventures ... "
Using network analysis. A very nice example, with graphic visualization examples. See the link for details.
" .... Applying machine learning to AML ( Money laundering) has been challenging due to the limited availability of labeled datasets. However there are a number of unsupervised techniques that may be worth considering. Network modeling is a powerful approach to AML analysis (Möser). Each account and real-world entity is set up as a node of a graph and transactions constitute the edges. Edges can have weights. Edge weights typically reflect the volume or the monetary value of transactions flowing between nodes. .... "
An area we worked on in R&D and Product Development, and sought to apply in retail. By Melissa Jun Rowley ... "
Am a long time practitioner of industrial simulation for problem solving, so this intrigued me. Can we more effectively use VR to model worlds that represent our own? And can that can be used to test design alternatives? Does this only work in spaces that drirectly map to our own, like 3D flight simulation?. When the worlds are more abstract, the case is not so clear. See below for video demo. Mention made of Nick Bostrom's Simulation Theory paper. Wharton's Howard Kunreuther discusses his report on the insurance industry surrounding catastrophic events. Hurricane Matthew wreaked havoc in Haiti before causing massive damage to parts of the southeastern United States earlier this year. In the Carolinas, flooding damage from the storm was assessed at more than $1 billion. Insurance against a catastrophic event, such as a hurricane or earthquake, often is not purchased by consumers or purchased too late. The most common reason is that homeowners believe the odds are stacked in their favor. Howard Kunreuther, Wharton professor of operations, information and decisions and co-director of the Wharton Risk Management and Decision Processes Center, put together a report that looks at the insurance industry surrounding catastrophic events. He recently appeared on the Knowledge@Wharton show, part of Wharton Business Radio on SiriusXM channel 111 to talk about what can be done to improve coverage and minimize risks. .... "
Very well done, and thoughtful and technical piece on testing a time series. Have heard of backtesting, but not hindcasting. And more specifically its about making forecasts in time. What is generally known as forecasting. In this tutorial, you will discover how to evaluate machine learning models on time series data with Python. In the field of time series forecasting, this is called backtesting or hindcasting ... "
I am told that GE has given out free Amazon Echo 'Dots' to employees for the holidays this year. Recall that GE is also making an Alexa enabled lighting fixture to be available in 2017. A further example of the exposure of many new people to the smart home assistant concept. The idea is nearly universally accepted. Likely, as long as physical retail still exists. See my other recent posts on this at the tag below. We tested the technologies behind the idea. A short HBR video on the topic. I like the way they illustrate it with short animated process diagrams, making the premise easy to understand. Even if these diagrams are not complete. they are a great place to start to think about the process and how it can be improved. They also tell a story about current versus future state expectations. Microsoft is now offering the beta of Teams, its new group communications tool, which promises a new level of productivity for Office. While it's become the standard productivity suite for many businesses, Microsoft Office has lacked a tool specifically built for group communication and collaboration. Enter Microsoft Teams, a cloud-based, chat-centric app for group communication and collaboration, which lets groups and subgroups create their own channels to work together using text chat, file sharing, calendaring, and voice and video chat. It's targeted squarely at Slack, which has become a well-known option for businesses that want to encourage workplace communication (and is, incidentally, something that Microsoft reportedly considered buying for $8 billion until CEO Satya Nadella nixed the idea). ... "
Been a while since I have taken a look at the concept. I like it, but I have seen accurate measurement ignored when design thinking was invoked. Interesting view from O'Reilly.
" ... Design thinking is an abductive approach to complex problem solving that leverages the designer’s empathetic mindset in order to understand people’s unarticulated needs and identify opportunities for solutions. This is a human-centered innovation process that can be applied to a wide range of challenges: design thinking can be used to create everything from products and services to business models and processes. .... "
In the always interesting DSC site. Absolutely, data must be prepared, cleansed, visualized, and thought about in its business context. Also key to start thinking about data as an asset. Back to this approach, examined for years, obviously useful in legal, but in most any other kinds of research as well. Now being integrated into word processors and note taking systems. In Fastcompany. An expected connection, but very interesting. BlackBerry is adapting its QNX OS for advanced driver assist systems ..
BlackBerry has opened an R&D center to speed up the creation of software for self-driving vehicles and connected communications technology that allows vehicles to talk to each other and to the roadway infrastructure around them. ... "
Makes sense to integrate the idea of note taking and reminding with bot-like AI. An idea we tested. Have been a user of Evernote for some time and they recently added an intelligence method which finds articles related to what you are writing. Then I was introduced to Google Keep recently, and found it interesting. Intrigued that Google might integrate more meaningful AI into the mix. The notion that it will be integrated into something like Google Home is also fascinating. I can't say that the header statement below is right yet, but look forward to further examination. Artificial intelligence is transforming Google's yellow sticky note app into an indispensable peripheral to your own mind. .... "
Good piece by a former correspondent, starting with Amazon's testing of a checkout free store. Is that possibly in our future? Technically very possible, we showed that more than a decade ago. Should the Krogers and Wal-Mart's of the world be worried, or should they now be applying it to reduce their costs? I am continuing to do a test of voice based advisory systems, comparing the Google Home to the Amazon Echo. Google Home just announced an expansion of services available. Looks good but none very surprising. All very home rather than business oriented. I am also looking at the business/home overlap. All of the current major players are building platforms and now allowing external developers to provide new skills and actions. Continue to look forward to the comparison. I do like to call these Services as opposed to Skills. Have yet to see much that embodies the intelligence that might be called a skill. Any ideas, pass them on. Now you can talk about news, food, and health with your voice-activated roommate. By Michael Simon .... "
Good detailed piece. Many industries and companies are dealing with explosions of information and data that need to be understood and integrated into current process. Mentions such efforts as Watson in medicine. Also how will current human expertise be integrated with incoming learning? Big challenges all around to make these approaches sustainable though maintenance and curation.
" .... However, such reliance on manual curation creates not only a scale problem but also quality and consistency challenges. With the arrival of more advanced analytics such as IBM Watson, we can imagine more intelligent system such as MD Anderson’s Oncology Expert Advisor that one of us (Lynda) previously developed. It combines human expertise with machine learning to synthesize a large knowledge base in cancer and suggests treatment options tailored to a specific patient in real time. This will help doctors make better decisions based on up-to-date knowledge in a time efficient manner. 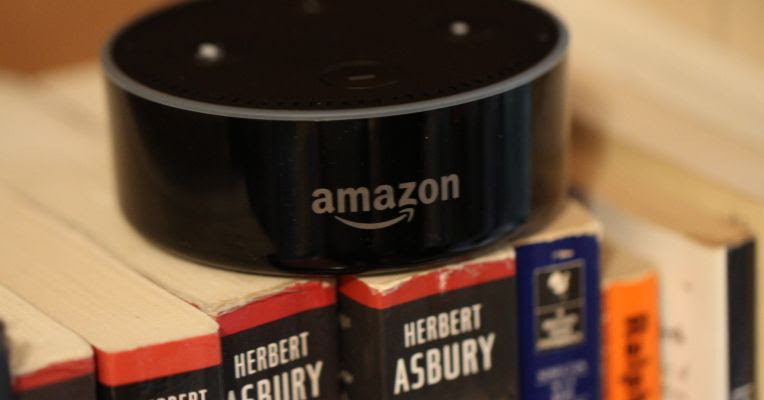 .... "
More planned Updates on Alexa Intelligence Implications of this work are unclear, this still seems to adhere to current architecture of the knowledge being used in the system framework. My own look at this would seem to indicate the architecture limits capabilities, and results in relatively simplistic solutions. Interaction language is still not natural. But a well built architecture can also lead to better standards and upgrades.
" ... Earlier in the day, at re:Invent, Amazon announced the launch of its first AI services, the launch of the Alexa bot framework Lex, and the creation of the Alexa Accelerator, a 13-week startup accelerator that will be run with Techstars. “With the new built-in intents library, weather becomes an object that Alexa knows a lot about, both weather itself and its attributes, but also how a person may ask for the weather,” Isbitski wrote. “Our interaction model now can be done with no sample utterances and a single intent! We call this new type of interaction an Intent Signature and it includes actions, entities and properties. There are numerous Intent Signatures available for use in your Alexa skills across all sorts of categories.” ... "
" ... The tape measure has remained virtually unchanged for over 100 years, until now. The eTape16 Digital Tape Measure revolutionizes not only the tape measure, but also expands its utility as never before envisioned. ... "
These kinds of developments made me think of virtual worlds, which also attempted to set up alternate worlds you could experience. So they are necessarily not only games, but places you can meet or even just hang out. And they need to be better than a very good video conference room. And you can then ask: how do they need to be better? By including a manipulable co-reality? By allowing new kinds of interactions? Still unconvinced of easy business value. Social value is more adaptive. Oculus wants people to think of virtual reality as more than a solitary, gaming-centric experience. To that effect, the company today is launching two new features for the Samsung Gear VR headset that it hopes will encourage users to interact with one another in a virtual hangout. The first is called Parties, and it’s a simple chat system — much like game chat for PlayStation or Xbox — that lets you jump into a voice call and talk with others while wearing the headset. The second feature is called Rooms, and it’s an entirely new way of interacting with others in VR. ... "
Makes sense, like in hte delivery of analytics, they should be closely integrated. And in partcular consider them both as process journies. So should be considered together. That is, they both have direction, need resources and produce value. And both need clarity in their definition. We started doing UX field work and the business loves it. We found hidden value in UX research. You can too. Raise your hand if you can’t get leadership to support UX research. Put the other one up if you wish you could prove its value to the business. Jazz hands if you feel disconnected from users and it hurts your heart a little every day. I feel you. That was me a year ago. But today our business is hot for UX research. What changed? We started spending time with users, and our field work is unlocking business insights beyond the usability data we originally set out for. .... "
Prediction research via sensor data. An update on the use of captured data. An updated version of the MyShake app will be available for download today (Dec. 14) from the Google Play Store, providing an option for push notifications of recent quakes within a distance determined by the user, and the option of turning the app off until the phone is plugged in, which could extend the life of a single charge in older phones. .... "
Artificial Intelligence (AI) is an important and evolving concept that is having significant impact within the Customer Experience industry — and it’s a topic that is being talked about on a seemingly daily basis at this point. But is AI really ready for primetime in customer care? I spoke with Michael Johnston, Lead Inventive Scientist at Interactions, about frequently asked questions about AI and Machine Learning as they apply to customer care. .... "
Discuss it here at the Cog Systems Institute Group. Always thought it was interesting to think about creative design using AI methods. How is this best done? By generation and test with social media? Crowd sourcing? Capturing creative expertise? Her company is a great link about augmenting every employee. Good piece, though I would look to more measurement. The email arrives and your jaw clenches: It’s planning time again and there’s nothing you can do about it. No matter what else is on your plate, you know that the next month or so will be dominated by filling out templates and sitting through endless planning sessions. The irony is that you have some strategic ideas you’re really excited about but you figure you’ll have to work the back channels to get them in front of the right people. Previous experience has taught you that your company’s formal planning process is where the best ideas go to die. ,,, "
In the NYTimes Magazine, may require registration, in particular looks at language translation. We followed this for years, and at that time translation was never good enough for our purpose. This has changed, and we can also test much of it online. I just quickly tested a phrase on my Google Home. Google Translate is to be commended for this. The article includes some interesting translation examples. We are getting remarkably close to consistent value. There is work and re-work still to be done. Also covers its relationship to the history of AI which I have been involved in for some time. Long and largely non technical article. ThyssenKrupp's new $43 million elevator test tower soars 246 meters (808 ft) above the German town of Rottweil, but the company's lifts chief is not only thinking vertically. .... "
In Retailwire: Makes much sense. Includes expert discussion. While brand manufacturers continue to invest in POS analytics and gather relevant customer data from retailer partners, 77 percent still believe they can be doing more with the data to improve their business, according to a report from Askuity. .... "
Podcast of interest, how can we address the falling of social trust? This week on Freakonomics Radio: Societies where people trust one another are healthier and wealthier. In the U.S. (and the U.K. and elsewhere), social trust has been falling for decades — in part because our populations are more diverse. What can we do to fix it? .... "
" ... If you were among those kids who had Kellogg’s cornflakes on the breakfast table, drank a Coke from time to time, enjoyed your favorite KitKat, and, after you got a little older, have always used Tide, don’t expect the next generation to follow you. Your familiar global brands will begin dying in 2017. .... Why? ... It may seem counter-intuitive, but “transparency” is likely to spell the end of global brands as we know them. ... "
Research on artificial intelligence moves from 2-D to 3-D representations of the world—work that could lead to big advances in robotics and automated driving. ... ."
Not always the case, but good to be ready for. Especially when significant metadata is involved. People say Big Data is the difference between driving blind in your business and having a full 360-degree view of your surroundings. But, adopting big data is not only about collecting data. You don’t get a Big Data club card just for changing your old (but still trustworthy) data warehouse into a data lake (or even worse, a data swamp). Big Data is not only about sheer volume of data. It’s not about making a muscular demonstration of how many petabytes you stored. To make a Big Data initiative succeed, the trick is to handle widely varied types of data, disparate sources, datasets that aren’t easily linkable, dirty data, and unstructured or semi-structured data. At least 40% of the C-level and high-ranking executives surveyed in the most recent NewVantage Partners’ Big Data Analytics Survey agree. Only 14.5% are worried about the volume of the data they’re trying to handle. .... "
When is the next show? Where is a nearby resource? In a gambling center, add gambling skills. 4748 rooms by next summer. Privacy is correctly discussed, there will have to be adjustments for devices of this type placed in semi public spaces. Like the idea of adding organizational expertise to any kind of complex 'manual' of rules, guides and regulations. Reminds me of the tax code and internal corporate handbooks. Have dealt with many that were decidedly not intelligent and led to many errors. Ideaconnection sends a request. If you have packaging experience, take a look at the idea below. I don't have the time to participate. An IOT connection? Much more detail at the link. Client seeks disruptive packging and low cost sensor or indicator technologies that have the potential to dramatically improve the product lifetime of shelf-stable food and beverage products in a 5-10 year timeframe. Client also seeking technologies that provide information relating to quality management, in-store product flow, consumer insights, and inventory awareness for supply-chain management of shelf-stable foods and beverages. ... "
Now I want to see a real world application of this, beyond just an amusing interaction. Bring on the contextual power and usefulness. And something that can carry on a memory enabled learning conversation. Slides. Recording will be here. Reasonable thoughts here. But even more important, jobs that will deliver on these innovation areas and sustain the process of their use and value. Its change management all over again.
" ... ‘Tis the season for the public relations exercise known as “here’s what we think (or hope) will happen in the tech sector next year,” flooding my inbox with predictions for 2017. No one knows what will happen tomorrow, let alone over the next 12 months, but the exercise yields interesting insights into what’s hot (and what’s not) in technology today. Artificial intelligence (and machine/deep learning) is the hottest trend, eclipsing, but building on, the accumulated hype for the previous “new big thing,” big data. The new catalyst for the data explosion is the Internet of Things, bringing with it new cybersecurity vulnerabilities. The rapid fluctuations in the relative temperature of these trends also create new dislocations and opportunities in the tech job market. .... "
Voice based listening assistants are attentive. To what degree do they violate privacy? If you have an Amazon Echo or Google Home voice assistant, welcome to a life of luxurious convenience. You’ll be asking for the weather, the news, and your favorite songs without having to poke around on your phone. You’ll be turning off lights and requesting videos from bed. The world is yours. Of interest. The idea of dealing with many dimensions was rarely addressed in the usual business data, but it was always there in reality. Now in machine learning we need better perspective. Explanatory images at the link. Once again Google is usefully providing open source tools. Note this is not only about machine learning, but also useful for graphical vector data analysis for any purpose. Dimensionality, and vectors in general, is not something that most of us find easy to understand. The problem is that we all live in a three-dimensional world. We are taught length, width and height, so we struggle to imagine what a forth, fifth or sixth dimension might look like — this is why most of us found Christopher Nolan’s representation of additional dimensions wonky in the movie Interstellar. .... "
Just brought to my attention, a means of experimenting with Google AI. I like the broad extent of context. Have long been a big student of how computing, mathematics, analytics and visualization are presented in film. In particular how they portray real science and engineering involved. And how this is a useful inspiration and training for the practitioners of the future. Being an adviser in a futurist sense is interesting. The article is long, and in places technical, but well worth a look if you have interest. And happened to have met a few of these people. Just a short snippet below.
" ... As a company we’ve had a certain amount of experience working with Hollywood, for example writing all the math for six seasons of the television show Numb3rs. I hadn’t personally been involved—though I have quite a few science friends who’ve helped with movies. There’s Jack Horner, who worked on Jurassic Park, and ended up (as he tells it) pretty much having all his paleontology theories in the movie, including ones that turned out to be wrong. And then there’s Kip Thorne (famous for the recent triumph of detecting gravitational waves), who as a second career in his 80s was the original driving force behind Interstellar—and who made the original black-hole visual effects with Mathematica. From an earlier era there was Marvin Minsky who consulted on AI for 2001: A Space Odyssey, and Ed Fredkin who ended up as the model for the rather eccentric Dr. Falken in WarGames. And recently there was Manjul Bhargava, who for a decade shepherded what became The Man Who Knew Infinity, eventually carefully “watching the math” in weeks of editing sessions. ...."
Likely to also help support ethics studies and development for AI systems. The Californian tech giant has traditionally kept research breakthroughs to itself, seeing any developments as valuable intellectual property (IP), so this is a major change in direction. ... "
A beginners guide to machine learning from DSC. Links to some interesting resources. Not really about machine learning, or anything close to what we think of as learning. But rather, how to use focused analytical methods, mostly against very precise and accurate data, to find patterns. We already do that with our eyes and other sensors. But then we convert the resulting pattern recognition to actions further influenced by any number of past learning and experiences. Turns out the latter is not very easy to generalize . It can be used to do some very impressive and even useful things. But it is rarely in deep context. Much work still to be done there. Article in Internet Citizen. Good piece. I remember reading the classic 'How to Lie with Statistics', by Darrell Huff. It was not a 'how to', but rather a how not to get fooled by simple statistics and numerical arguments. Though simplistic, it still reads well. This article makes a similar case, but takes it into the realm of big data and deep learning. In a world with much more available data. So biases are much easier to support today. And they can be supported not only at the basic statistical level, but also at a much deeper algorithmic level, that is harder to explain or validate than a bar chart. Am a big proponent of casual drawing and the use of more formal diagramming of business. Here Knowledge@Wharton interviews the author of a new book on very casual visual thinking and communications. This is like data visualization, but you are visualizing the data and processes in your mind, and our mind is very visual. Nice thoughts. What do circles, squares and stick figures have do to with effective business communication? According to management consultant Dan Roam, doodles and drawings are the among the best ways to convey information because most people are visual learners. 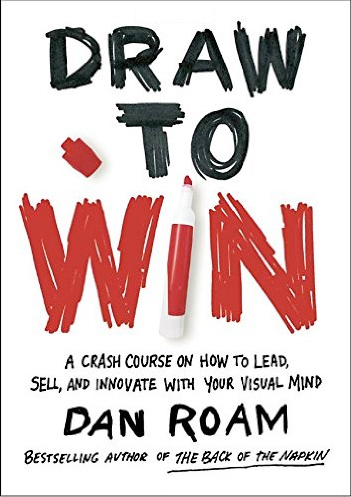 In his new book, Draw to Win: A Crash Course on How to Lead, Sell and Innovate with Your Visual Mind, Roam says anyone can use visual communication — no art degree needed. He recently appeared on the on the Knowledge@Wharton show on Wharton Business Radio on SiriusXM channel 111 to discuss why the brain excels at processing information when pictures are part of the message. ... "
It seemed at first that Microsoft would not respond, now indications that the competition will begin. This seems contrary to other reports that Microsoft is emphasizing their assistant technology, Cortana, only in systems with screens. Tech's Biggest Showdown is unfolding in your living room by Cade Metz. Microsoft is joining Google and Amazon in the race for your home. This week, at an event in China, the venerable tech giant trumpeted the arrival of Project Evo, a sweeping plan to build hardware devices that work a lot like Google Home or the Amazon Echo. ... "
Broad overview, but interesting. Working with students now and this has been asked. Don't see it much in the curricula, which are based on old assumptions. Start with: Be adaptive and don't depend on job titles. Other thoughts? Good, now lets see some really innovative efforts. With AI and pattern recognition embedded. Not just find me a recipe, or recite the last three headlines or tell me a joke or Order me a Pizza. Can do those already. We did that in the 90s. Show me some intelligence. Impress me. My GHome is ready. Not having to enable an action is a good start, a conversation should detect the need for an action, and get the data it needs to proceed. The skills/actions competition is good too. The company is opening its voice-enabled Assistant to developers who can start creating "actions" for the device. Early partners will include media companies like NBC News, Buzzfeed and NPR, as well as consumer apps like Quora, Genius and Todoist. The idea is similar to the "skills" developers create for Amazon's Echo line: companies can create "Conversation Actions" that link their services to Google Assistant on Home. Using the actions created by Domino's, for example, you can ask Google Assistant to order you a pizza, or ask for the latest CNN headlines. Unlike Alexa's skills that have to be manually enabled, Google notes that once developers create a conversation action, they're automatically available. "It really is a conversation — users won't need to enable a skill or install an app, they can just ask to talk to your action," Jason Douglas, Google's product manager for actions, writes in a blog post. ... "
Brought to my attention by Walter Riker. Mentioned in the local paper. Always a student of retail store design. Especially something different. In the FRCH Site. Complete images at the link. The result was Main & Vine, a brand new 27,000 SF, fresh-format grocery prototype in Gig Harbor, Washington. Blurred departmental lines, streamlined fixtures and intuitive wayfinding invite a sense of culinary wanderlust, while interactive touchpoints put local first and fresh food at the center. Original building features like 100-year-old wood ceiling beams were kept in order to enhance the feeling of authenticity by paying homage to the initial structure. Adding to the sense of authenticity, Main & Vine carries many locally sourced products, which are displayed alongside national brands, putting fresh food at the center of an immersive experience with the ultimate brand purpose - to feed the human spirit. ... "
I am still staying with augmented reality. When I see mixed I ask, mixed what? Augmented implies improvement. Just what is virtual reality (VR) and mixed reality (MR)? These definitions were a topic of discussion in a couple of talks at the recent Develop:VR event that VRFocus was in attendance at. ... "
Though a keen observer and frequent user of voice activation in the smart home, I rarely talk to my otherwise much in use laptop. I was at first impressed with aspects of MS Cortana, but soon found it boring. It did not support what I wanted to do, when I wanted to do it. So I stopped talking and forgot that Cortana was there. Now word that you can soon talk to it from further away, and activate it more readily. Is that enough? Am using Windows 10, so I am all set up to test the idea. Intel and Microsoft are working on technology allowing you to shout out commands to Cortana or activate a Windows 10 PC from sleep mode without being all that close to it. The chipmaker is working with Microsoft to add "far-field speech recognition" technology, where the user can shout out Cortana commands to a Windows PC from longer distances. "Soon, you’ll be able to speak to your PC from a distance and access all of your information on the device and in the cloud," said Navin Shenoy, senior vice president and general manager for the Client Computing Group for Intel, in a blog entry this week. ... "
In CWorld: And comes with a systems development kit that allows it to use its sensors to learn about people and their environment. Its a kind of crowd sourcing tease we are seeing with Echo and now also with Siri. If we provide the right kinds of hardware and software tools, will AI necessarily emerge? Not until we have the right kind and focus of micro services to learn, adapt and converse with us. See more about Anki. Was pointed out to me. The Growth of mobile in world. " ... Mobile offers hundreds of new opportunities to deliver value to consumers in moments of need. ,,, ". And advertisers learned a long time ago, you can culture need. Been testing Echo vs Google Home for potential in home and offices with AI driven . One way they are presented today is as easy to use access to music. Both work very well. And what you might really want is a way to predict what you want, and access it, buy it, even write the music on the fly using AI. Both Echo and Home do some of this. If you just ask for 'music', they play the genre you have been listening to. Though it still seems fairly primitive. And we all like some variety. Why not surprise me, within limits? So I see in Wired an article about Google constructing something like this: " .. Google Music Taps Big Data to Build a Robot DJ Mind-Reader .. ". Not clear if this works yet in Google Home, but certainly could be there. And while it sounds attractive, is this something we would want and pay for? Or is just easy access enough? Good piece to read, link below. Other than maybe the NSA, nobody knows more about you than Google. It’s got a read on where you are, what you’re doing, what you’re thinking and watching and searching for and chatting with your friends about. Which means nobody should be better equipped to soundtrack every second of your life than Google Play Music. Starting today, the company’s taking full advantage of its smarts to deliver you the sounds you want, when you want them. All you have to do is press play. ... "
Coke CMO Defends TV as Cola Giant Rethinks Digital Approach By E.J. Schultz. Coca-Cola Co. global Chief Marketing Officer Marcos de Quinto on Friday defended TV advertising as providing the best bang for the buck while questioning the beverage giant's past digital spending practices. ... "
NASA has been pushing social media. Good in general. Verge reports that they are now publishing a library of GIF feelings. Sorry, I want engineering-style information. And probably so do most of the STEM folks they want to recruit and appeal to. Perhaps they are pushing for a budget cut? Nicely and satirically posed. Are we really all data janitors as opposed to data scientists? Well yes, to a degree. Data drives answers. Published on October 10, 2016 Are your company executives crazy about analytics? ... Literally crazy? ... "
In Chainstore Age: Publix Supermarkets, a former employer of mine, has won the pharmacy satisfaction award. The pharmacy with highest customer satisfaction is in a supermarket… by Marianne Wilson. Here's what they should focus on. For more, read "How Artificial Intelligence Will Redefine Management." ... "
Correspondent Gib Bassett looks at the Big Data and analytics environment at my former employer P&G, where we spent much time solving wicked problems. It had a long history of doing that well, since the 60s at least. Our little part started to weave in big data, architecture and AI. This is a fascinating review from public sources. Largely concur, but with the usual issues about doing these things in the big enterprise. I have often hinted at the positives and negatives here. In fact this blog is a log of how those innovative ideas have evolved, as a personal journey, inside and outside the company. Saw some interesting proposals about altering the way drug research could be done recently, so this is particularly interesting. The portable drug lab could decentralize the way drugs are made. A team at the Massachusetts Institute of Technology developed a chip that allows the modulation of gene circuits to produce specific drugs, one dose at a time. Massachusetts Institute of Technology (MIT) researchers have devised a miniature drug laboratory—about the size of a college dorm-room refrigerator—that could decentralize the way drugs are made. The lab-to-go is driven by a microfluidic chip, which modulates the fermentation of genetically altered yeast to produce a wide variety of medications. “Our goal is to decentralize drug manufacturing and allow portable, on-demand drug production anywhere,” says Timothy K. Lu, M.D., Ph.D., an associate professor of synthetic biology at MIT and a lead researcher on the project. Clayton Christensen, professor at Harvard Business School, builds upon the theory of disruptive innovation for which he is well-known. He speaks about his new book examining how successful companies know how to grow. ... "
Just covered this in my Columbia course, where it was about getting analytics change to work. Here a much less technical and more organizational view, but still very useful. In McKinsey: Transformation with a capital T By Michael Bucy, Stephen Hall, and Doug Yakola " ... Companies must be prepared to tear themselves away from routine thinking and behavior. ... "
Mentioned in today's CSIG talk, furthering the discussion. ... Grady is currently developing a major transmedia project on computing; for more information, visit Computing: The Human Experience. ... "
Consumers today, particularly younger ones, are notoriously fickle when it comes to their fashion purchases. Items that were flying off the racks a few weeks ago may already be heading for markdowns. That’s what makes a new Wall Street Journal story on the fast-fashion chain Zara so fascinating. The paper tracked the development of a new coat being sold by the chain, which went from prototype design to store racks in 25 days ... "
Crowdsourcing infrastructure Data. Impressive. But a big security issue here?